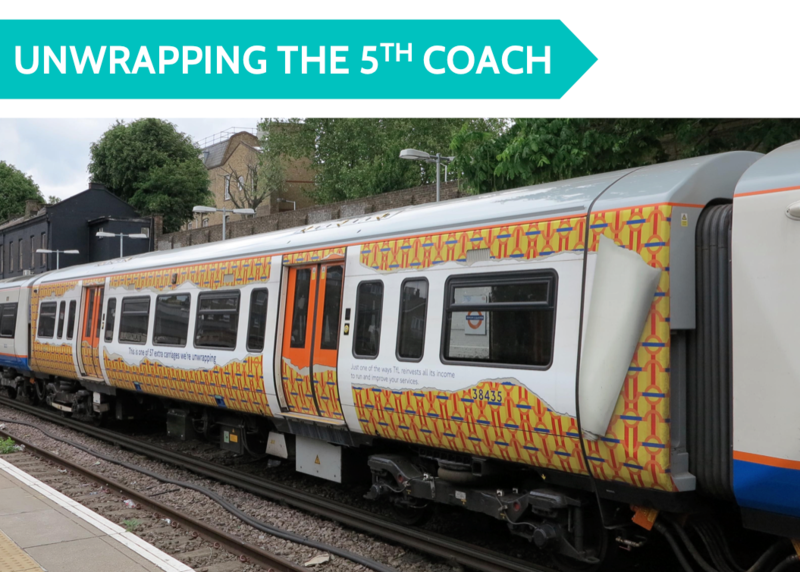 ​November 2014 saw London Overground introduce the first 5 Car Class 378 train on their network. The London Overground network has become very popular and passenger demand is at its greatest. Many routes are restricted to four trains an hour due to other services running along the same lines. London Overground are investing £320 million in extending the Class 378 fleet from four carriages to five. As well as extending the trains, many other infrastructure changes are required. Signalling & Communication Equipment – Need to be altered, train signals moved forward and block working adjusted. Depot/Stabling Facilities – To cater for the longer trains and new stabling facilities created at other locations such as Silwood (close to Lewisham) and at Wembley. Class 378 trains are sent to Bombardier’s plant in Derby for the installment of the fifth carriage. The interior is to the same specifications as the existing carriages so to the general public they all look and feel the same. The ever-increasing popularity of the London Overground network has seen a huge rise in demand. As a result, we are now on course to carry 135m passengers - nearly four times the number we carried when we took over this railway in 2007. 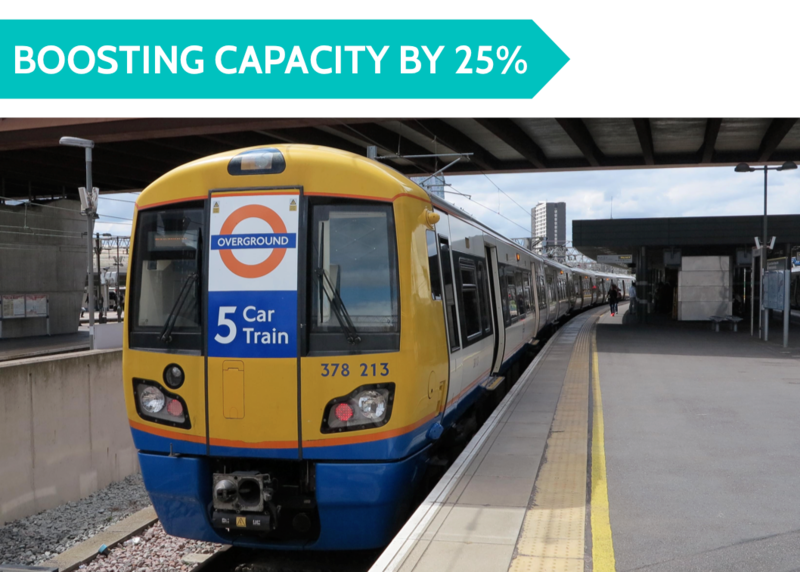 By extending existing four car trains, this has given a 25% increase in capacity per train. The Watford Junction branch will gain 5 car trains when power upgrades, platform extensions and a new stabling facility is competed at Wembley.